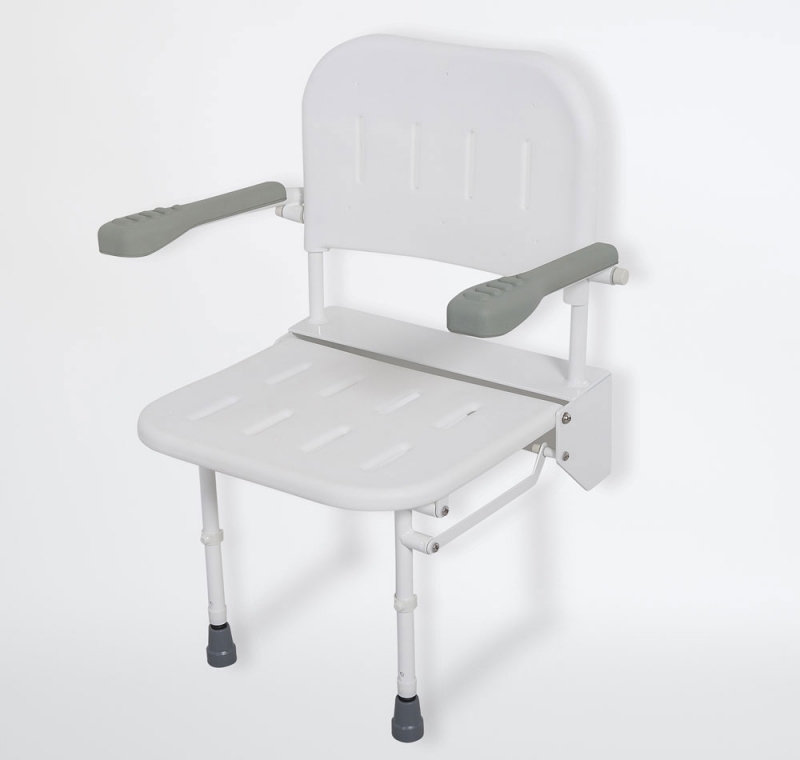 The Nymas NymaCARE Premium Wall Mounted Shower Seat With Back, Arms & Legs is part of Nymas' NymaCARE range, formulated for use in high traffic public applications. The NymaCARE range offers essential features of vandal resistance, infection control, durability and aesthetics. The NymaCARE range is perfect for use in hospitals, nursing homes and mental health facilities.